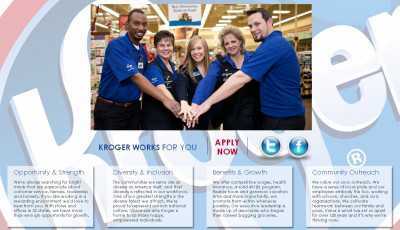 For people who want to get a job at a Kroger supermarket there is this site. KrogerWorks.com lets you see all the available positions at what’s undoubtedly one of the largest grocery chains in the US. Currently, Kroger supermarkets are available in 31 States, under more than 20 banners including City Market, King Soopens and Food 4 Less. 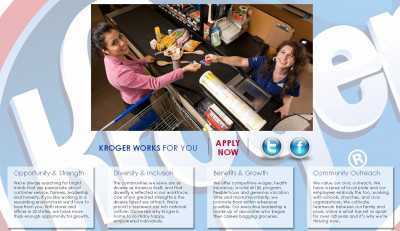 And Kroger Works makes it simple to find both part-time and full-time positions at any of these supermarkets. Cashiers, courtesy clerks, bakers, pharmacists… the site lets you locate these Kroger supermarkets that are hiring staff closer to where you live, and to apply for the positions that you’re qualified for. A map of the US is available, just to make things faster for everybody. And KrogerWorks.com is also a site you can use if you are looking to further (or even start) a managerial career. Such positions can also be readily found with the help of the Kroger Works team. And in addition to using the site to know about new positions at Kroger’s, you can also follow the company on Facebook and Twitter, and learn about new employment opportunities even faster. You can even set down direct alerts, and be instantly notified when a job you’re interested in has become available.